Need to get your kids to eat their greens? 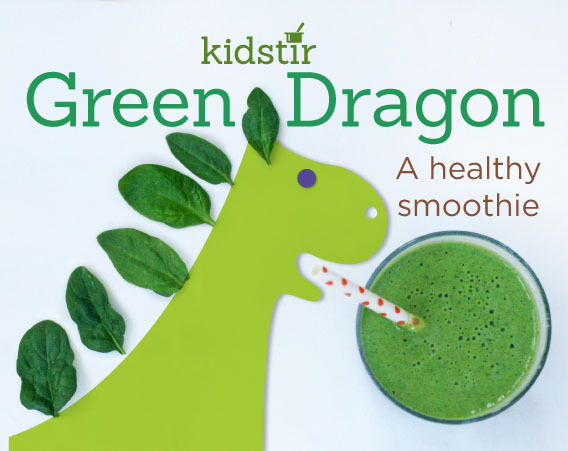 Try mixing up this Green Dragon drink that’s packed with iron-rich baby spinach. It’s so creamy and tasty, the kids won’t even realize they’re eating spinach. 1. Peel the banana and place it in the blender. 2. Add the milk, yogurt, and spinach leaves. 3. A grown-up can help younger kids blend the smoothie together until it’s creamy and smooth. 4. Give it a taste test. If you’d like it sweeter, add a little honey. Blend again. 5. Pour into glasses and drink right away. Or, pour into pop molds and freeze overnight.